If you're using Internet Explorer, go to Tools>Internet Options>Security and move the 'Security level for this zone' down to 'Medium-high' (which Microsoft state is "appropriate for most websites"). Medium-high is fine for the vast majority of sites ... including a reputable site like ours! 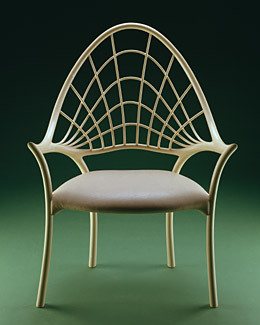 John Makepeace has a special place in the history of design and fine furniture making. The function, structure and context of each furniture commission are fundamental issues for John Makepeace, whether for a private home, a corporation or a museum collection. 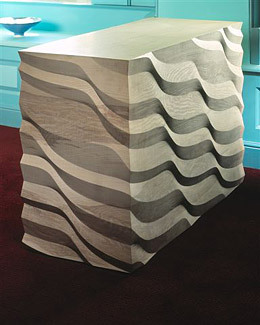 "As a designer and a maker, I am constantly searching for more eloquent concepts for furniture. My objective is to achieve freer, lighter, stronger and more sculptural forms better suited to their function and more expressive of what is unique about each commission. 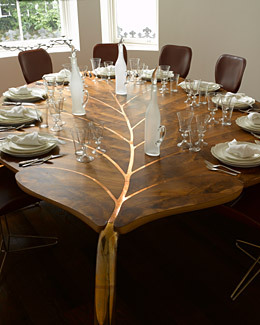 My passion is to create masterpieces that enrich people's lives and the language of furniture." > John's approach to furniture design and making.